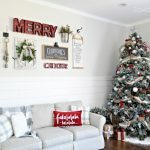 Welcome to my Christmas 2018 Holiday Home Tour! 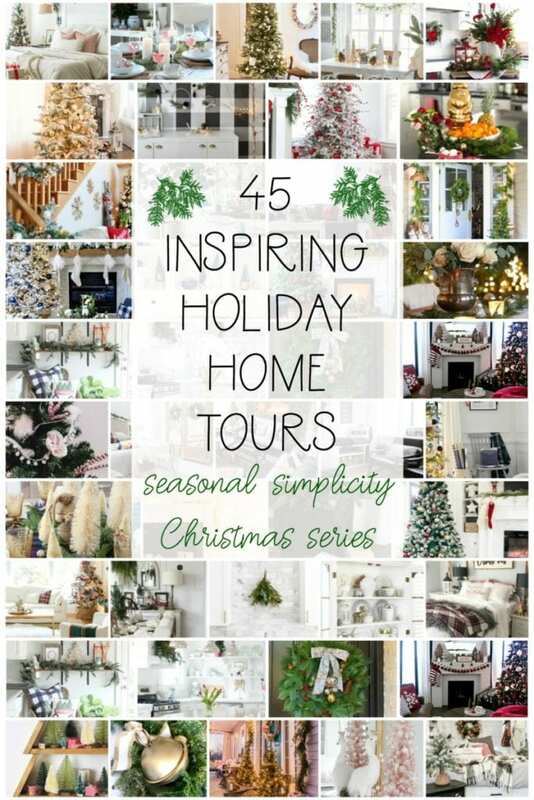 I’m joining some of my very talented blogger friends as we share our homes all decked out for the holidays. This home tour blog hop has been going on all week, so be sure to visit the links at the end of this post to see some of the great looks my friends have created! This year, I was torn over the look I wanted to create. I always LOVE traditional red, but it got me thinking… green and golds are also very traditional. So, I decided to try a traditional route that wasn’t too… traditional? I love the dark hunter green coupled with the bright brass. Whilst decorating I did get a bit of a wild hair and threw in a touch of deep blue. I know, I know, I went totally nuts, but I love it and I stand by my devil may care attitude towards my “traditional tree”. It’s pretty and I like it. 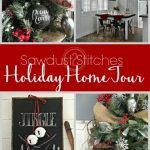 So, without further ado, allow me to present you with my 2018 Christmas Holiday Home Tour! It really was a go with the flow theme, I didn’t have a firm game plan, but I just started adding things, and it seemed to pan out alright. I used the navy from last years tree. (If you are looking for more ideas, I strongly suggest you check out last year’s tree!) The modern wreaths that I made were really a source of inspiration when it came to decorating the tree. The brass was such a delicate look, that packed a punch, so I tried to pull in the look without it being overpowering. Funny story, I actually picked up all the french horns at a garage sale about 8 years ago! #winning Last year, I picked up these large bells at the Michael’s end of season sale for cheap! So when I pulled them out I knew just what to do with them. I grabbed a can of spray paint and lightly dusted them with gold spray paint to give them a matte brass look. (They were originally a galvanized metal.) Now this might be my favorite part… last year I made a beautiful piece of wall art that I displayed ornaments in/on. (Check it out here.) This year I decided to use the modern wreaths as my wall decor, leaving me with a very large unused piece of wall decor. What is a girl to do? I temporarily re-purposed and made it into an over-sized chalkboard and added some swag. For the cost of a piece of paneling I had a major statement piece, and I LOVE IT! 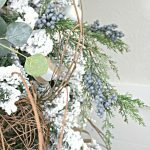 Another staple piece when it comes to seasonal decor is my carboy jug crate. (You can get the build plans here.) 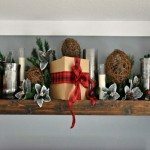 I just switch out the stems every season and it gives the room an updated look for cheap! Last stop. The dining room. I love a beautiful, albeit impractical tablescape. I pulled the brass and green theme into the kitchen and called it good. 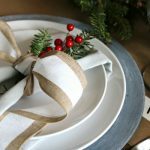 Over time I have noticed a theme to my tablescapes… whatever the focal piece is, I tend to buy about 3 x’s more than what I originally plan for, and THEN it comes together. I don’t know why that is, for some reason when it comes to my table decor, more is always better! Impractical yes, but oh-so pretty! Well, there you have it, my 2018 Christmas Holiday Home Tour. I hope you enjoyed it! Now, before you check out, might I suggest you head over to “The DIY Mommy” next? 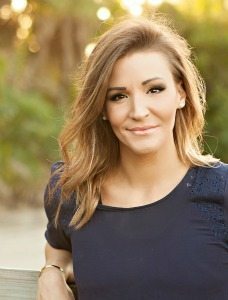 From there she will direct you to another fabulous home tour. If you continue the pattern you will eventually end up right back here, but you will have seen so many beautiful homes and your head will be bursting with brilliant ideas! Have fun and enjoy. Holy goodnight those bells on the table are amazing! I love all your touches, so special and beautiful. I love the brass horns and all the small touches. 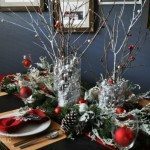 That tablescape is grand and may make it hard to find a place for Christmas dinner, but it sure looks good in pictures! Thank you for sharing your home on the house tour. Happy Holidays Corey. Where did you get the bells hanging on your black chalkboard. I love how they’re not the normal shape of what I think a bell should look like! Thanks. Ahh your home looks so adorable – I love it! Really natural and lovely decoration, thank you for taking us on this tour.